1:30 From Hyper-V exploits, to the security implications of Blockchain, The Register's Iain Thomson is on-site at the Blackhat Security Conference and gives his take on a number of presentations from the event.11:12 Infowars was kicked off of Apple Podcasts and later YouTube and Facebook, but Twitter has held strong. 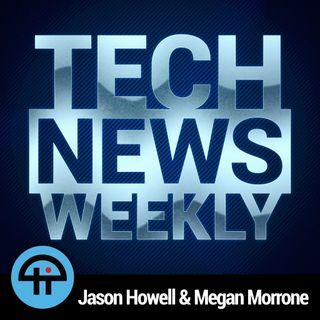 Ian Sherr from CNET talks about the tricky position CEO Jack Dorsey finds himself in, and what freedom of speech means to private companies.26:11 The White House met with tech ... See More executives to discuss the extent of Chinese trade tariffs on technology products. David McCabe from Axios had the scoop and shares his thoughts about what this might mean for technology companies in the near term.32:24 KTLA's Rich DeMuro attended Samsung's Unpacked event where the company unveiled its latest Galaxy Note 9 smartphone. Rich goes hands-on with the phone and talks about the potential of the Galaxy Home Bixby smart speaker.